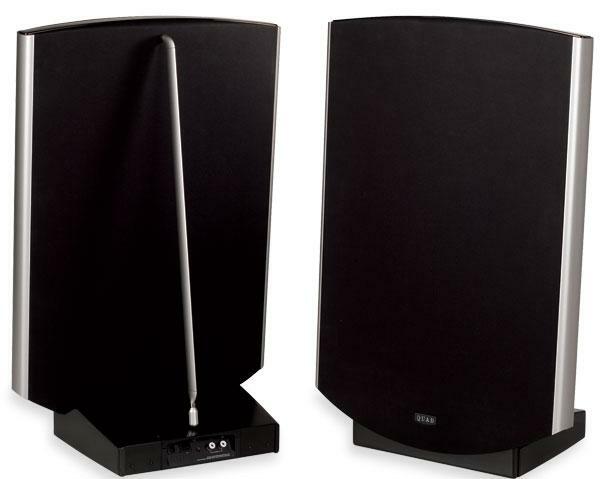 In March 2006 I wrote a very favorable review of Monitor Audio's Silver RS6 loudspeaker. 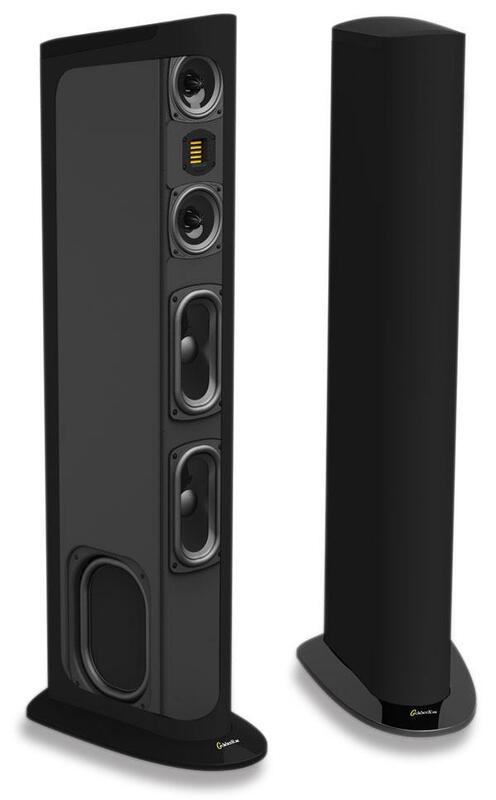 At the time, I felt this $999/pair, small-footprint floorstander produced the greatest sound quality per dollar of any speaker I'd heard. Despite the proliferation of affordable speakers of increasing quality I've heard since then, I remained particularly impressed by the Silver RS6's clarity and lack of coloration and the speed of its midbass, all of which continued to exceed the performance of any other affordable speaker I've heard. PSB is a small, Toronto-based manufacturer that has been collaborating with Canada's National Research Council to try and take some of the guesswork, some would say magic, out of loudspeaker design. The NRC, financed by the Canadian government, does basic research in many technological areas and makes its findings available to any firm wishing to use them. (Most other countries provide or encourage this kind of government/business cooperation. It is against the law in the US, to our great disadvantage.) The NRC's audio division, headed by physicist Dr. Floyd E. Toole, has devoted the last several years to the rather formidable task of defining, and assigning numbers to, the various aspects of loudspeaker performance that affect listeners' subjective assessments of their sound. I gasped. An almost perfect 300Hz squarewave had appeared on the oscilloscope screensomething I had never before seen from a loudspeaker. It was the spring of 1982. John Crabbe, then editor of the British magazine Hi-Fi News & Record Review, and I had driven up to Quad's factory in Huntingdon, England. The ESL-63 electrostatic loudspeaker had been launched the previous summer, and we were to interview its designer, Peter J. Walker, for an article that would appear in the July 1982 issue of HFN/RR. Peter set up a pair of ESL-63s on wooden kitchen chairs, fed one of them a 300Hz squarewave, casually placed a mike before it, and showed us the result on the 'scope. "Of course, why should a speaker being able to reproduce a squarewave matter at all, hmmm?" he rhetorically asked us. 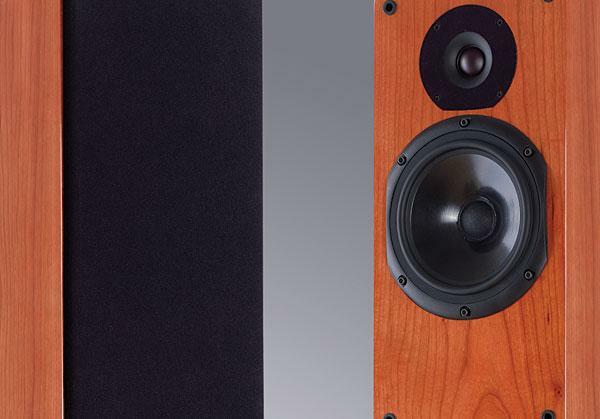 Take a casual look at the Mk.II edition of MBL's Reference 101E Radialstrahler loudspeaker, and you won't immediately see what's new compared with the original version, which I reviewed in October 2004. But the Mk.II has a shorter, sleeker bass cabinet, designed to, among other things, slightly lower the stack of omnidirectional drivers it supports. 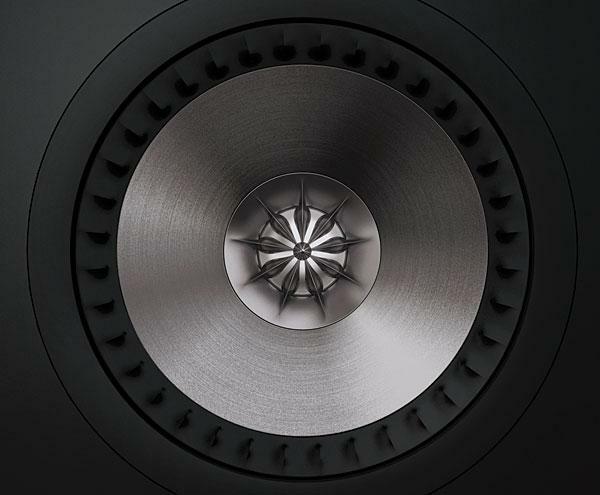 While the many other major revisions to this familiar and fascinating loudspeaker can't be seen, it's fair to say that, from the ground up, the Reference 101E Mk.II is a new loudspeaker in design, if not in concept. While I refuse to admit publicly how long I have been sitting on these loudspeakers before doing the report on them, I must say that it is probably a good thing I wasn't in all that of a hurry to get around to it. They did not sound very good in the room where I had initially installed them, and had I written the report on that basis, it would have been lukewarm, to say the least. I have now had the opportunity to live with the Acoustat 2+2s in my usual listening room, which is more like a typical listening environment (19' by 24' by 9' and moderately padded), and I am more than a little impressed. 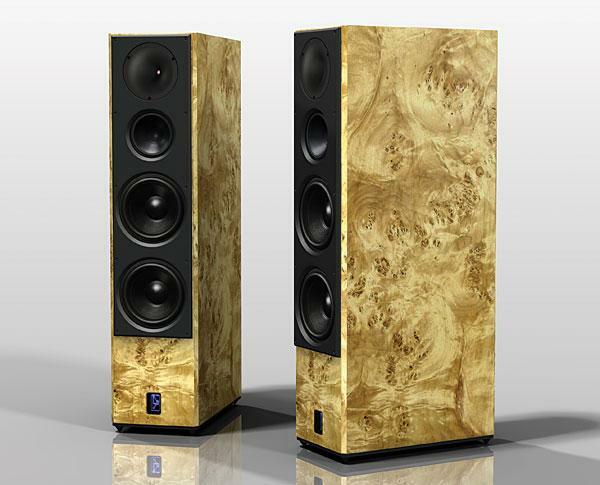 This is an extremely good speaker, particularly at its price of $2100/pair. The 2+2 resembles the Model Four in that it contains four of Acoustat's full-range electrostatic panels per side, but differs from it in that two of the panels (per side) are stacked on top of the first pair to produce a radiating surface twice as high and half as wide as that of the Four. The result, particularly in the case of the black-grilled version we tested, bears a startling resemblance to the mysterious obelisk in 2001, A Space Odyssey. The 2+2 system towers almost to the ceiling (and at just under 8' may be too high for some ceilings), and although it is more graceful in appearance than a pair of Fours, it tends to dominate a listening room at least as much. It's hard to believe that it's been 20 years since Michael Kelly formed Aerial Acoustics, introduced the Model 10T loudspeaker, and I wandered into his demo room at a New York audio show and was smitten. That speaker did everything right and seemed to do nothing wrong. Disc after disc was played as I imposed my impression on the listening chair (I recall there being only one). At the time, the 10T was only a bit out of my price range, so for many years it was what I aspired to have. Kelly and I repeated this little play over the years as his speaker line grew, and he always was patient as he explained what he intended for each model and how he had gone about meeting his goals. 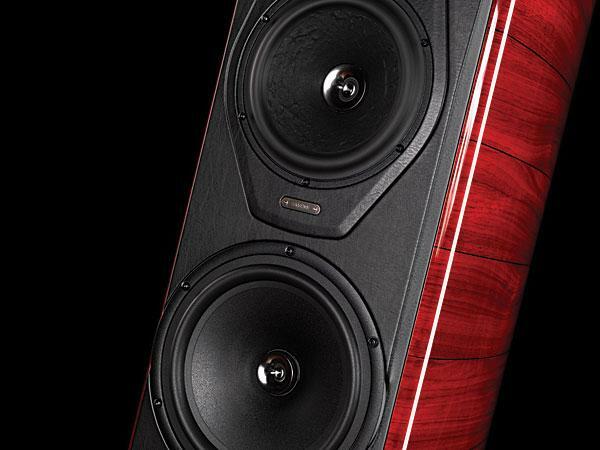 The Amati Futura is the third Sonus Faber loudspeaker to be called an Amati. 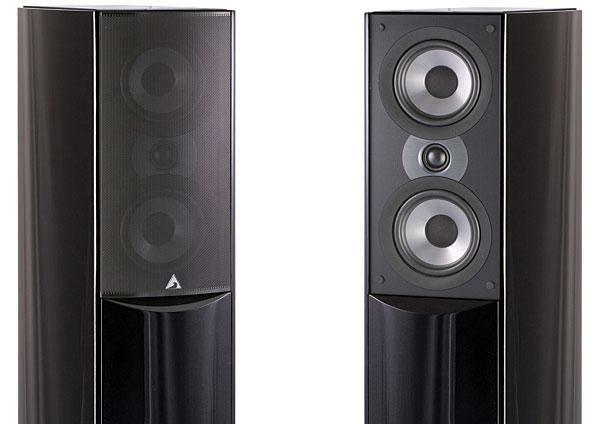 The first, named simply the Amati and priced at $20,000/pair, was reviewed for Stereophile by Michael Fremer in June 1999. I reviewed the second, the Amati Homage Anniversario ($27,500/pair), in May 2006. Gross is about to play an excerpt from a recording of John Rutter's Requiem. It's a piece that challenges just about every aspect of sound reproduction: there's an orchestra, a soprano soloist, a chorus, a pipe organ, and the acoustics of a large concert hall. Wimpy speakers need not apply. I listen, expecting to be underwhelmed. Whoa! The low bass of the organ so fills the room that I look for subwoofers in the corners. The orchestra and chorus have great presence. There's a believable sense of space. These are some speakers! How much? I've long been fascinated by Carl Marchisotto's speaker designs, first for Alón by Acarian Systems and currently for Accent Speaker Technology's Nola family of models. The Alón Circe has been my reference loudspeaker for over a decade, and it replaced my previous reference, the Alón V Mk.III. During my tenure at Stereophile I've also reviewed the Alón PW-1 woofer system (February 1997, Vol.20 No.2) and the Nola Mini speaker (January 2006, Vol.29 No.1), both now discontinued. In recent years, however, I hadn't paid much attention to Marchisotto's newer speakers, as he's focused on expensive designs featuring the Raven ribbon tweetercurrently, four models ranging from $15,200 to $238,000/pair. 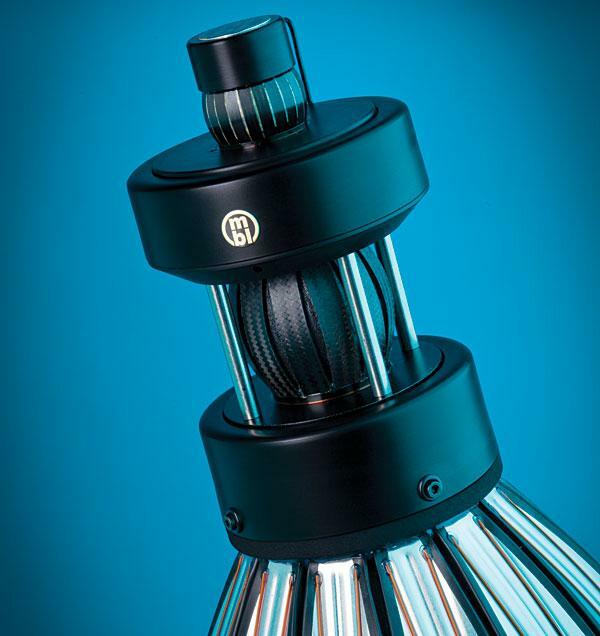 Although I've been impressed with all of the Raven-tweeter models I've heard at shows, dealers, and audiophiles' homes, my taste over the years has leaned toward Marchisotto's simpler two- and three-way, all-dynamic designs. "No pain; no gain." Thus goes the June 1991 offering from the Cliché-of-the-Month Club(800) MOT-JUSTa saying that seems particularly appropriate for audiophiles with aspirations. 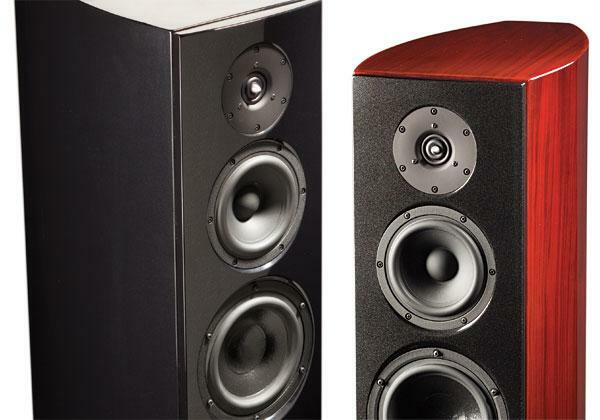 High-performance loudspeakers fall into two categories. First are those exasperating thoroughbreds requiring endless Tender Loving Care and fussy attention to system detail to work at all. Take the Avalon Eclipse or the Infinity IRS Beta, for example: when everything is just fine, you put on record after record, trying to get through as much music as possible before the system goes off song again. 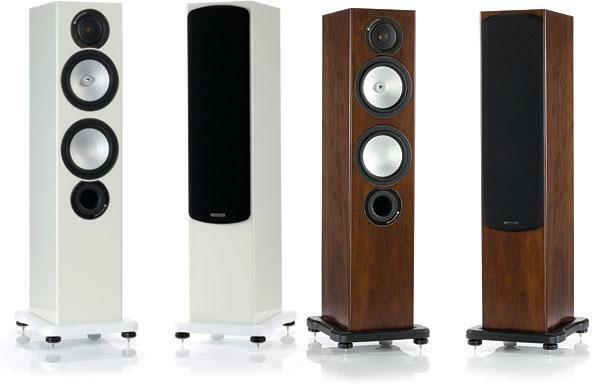 On the other hand, speakers like the Vandersteens, Magnepans, B&W 801 Matrix, and KEF R107/2 appear to sound excellent even as you unpack them, before you've even put them in what you think might be the optimum positions in your listening room. The question is: Are such unfussy designs really high-end? I mean, if they were truly high-performance speakers, shouldn't the owner have to suffer even just a little to reach musical nirvana? "A little pain; some sonic gain!" goes that other familiar saying. You all know where you stand on this vitally important question. Me, I prefer to sit and construct the following graphical analogy. Draw a vertical axis and mark it "Absolute Performance." (The units are "gb," footnote 1) Now draw a horizontal axis and label it "Setup." (The units are "dU" for "deci-Ungers," footnote 2) Okay, sketch out an inverted V-shape. This curve, something like an engine's torque vs RPM curve, represents the manner in which a system's or component's performance changes according to how it is set up. John Atkinson nudged my ribs with an elbow. "Did you bring your Cornelius CD with you?" he whispered. It was the 2010 Consumer Electronics Show, and JA and I were nearing the end of a dog-and-pony act expertly presented by Atlantic Technology's president, Peter Tribeman, touting a prototype of his company's new loudspeaker, the AT-1. JA and I had just heard about the finer points of the AT-1's new bass-venting technology, the Hybrid-Pressure Acceleration System (H-PAS), which was supposed to combine all the benefits and qualities of a transmission-line enclosure, horn loading, and sealed and ported designs. At the time, I didn't care if it combined all of the qualities of Kim Kardashian, Sacagawea, Joan of Arc, and Marie CurieI was just thrilled that the AT-1s were sounding so good in a partitioned ballroom. KEF and I go way back. As a very young man in the 1960s, I was obsessed with building speakers, and that was just about the time that KEF founder Raymond Cooke was revolutionizing driver design by using new synthetic materials for cones and surrounds, and experimenting with such innovations as transmission-lineloaded midrange drivers. I found it all very heady and, by direct import from the UK, obtained versions of the oval, flat-diaphragm B139 woofer, the Bextrene-coned B110 and B200 woofers, and the T-15 and T-22 dome tweeters. Fifty years ago, this was all cutting-edge speaker technology. 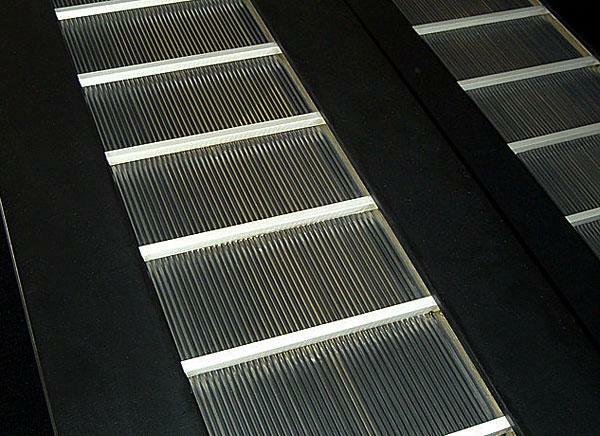 Thanks to Ben Peters, there's an electrostatic lifeline in Holland. Founded about 25 years ago, his company, Audiostatic, struggled through the 1980s, but with distribution by SOTA Industries, it's now on firm footing in the US. In fact, SOTA's Jack Shafton told me that all assembly and some manufacturing are now conducted in the US. My ES-100 samples came from the first US production run.